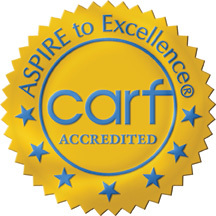 CARF is an internationally recognized body that accredits health and human services organizations across the lifespan and the continuum of care. The organization’s primary mission is to promote quality programs and services which will enhance the lives of the persons served. In July 2018, CARF conducted a site visit to GHA Autism Supports’ programs. Based on this visit as well as review of extensive materials, GHA was awarded a three-year accreditation in the areas of Community Housing and Community Integration. Community Housing – addresses the desires, goals, strengths, abilities, needs, health, safety and life span issues, regardless of the home in which an individual resides and/or the scope, duration and intensity of the services they receive. Community Integration – helps persons to optimize their personal, social and vocational abilities to live successfully in their communities. Our three-year accreditation is effective through June 2021. CARF has the option of accrediting an agency from a minimum of one year to a maximum of three years. Consequently, a three-year accreditation is a strong vote of confidence for a high quality, well-run program. The latest accreditation is the fourth consecutive three-year term that this international accrediting body has awarded to GHA Autism Supports. This achievement is an indication of GHA’s dedication and commitment to improving the quality of the lives of the individuals we support and clearly indicates an established pattern of practice excellence. 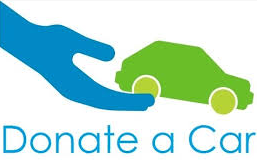 For more information, visit www.carf.org.